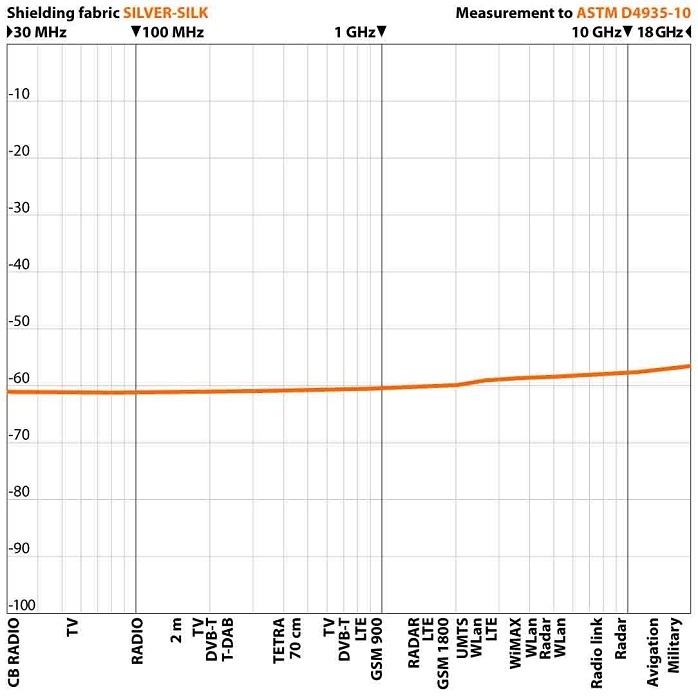 Silver Silk is a silvered parachute silk / nylon fabric for the protection against high-frequency (HF) and low-frequency radiation (LF). Typical application preferable in technical applications to shield cables, handy bags, room divider, etc.. Due to the good washablity even sewable in the inside of articles of clothing. Earthing: Electrically conductive. Can be contacted and grounded to shield electric fields (LF). 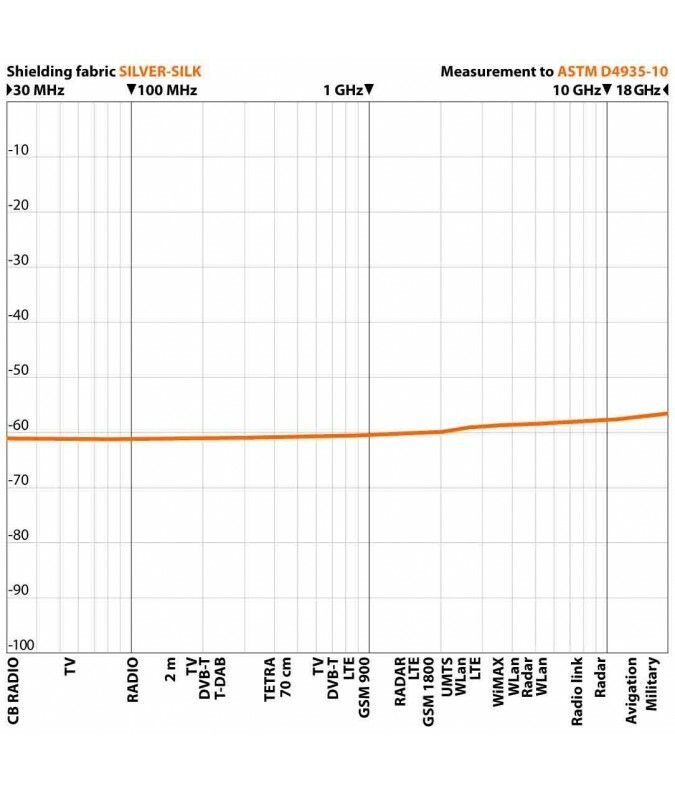 We recommend a plug GP or GD, with a plate GM or GS, plus a cable GC.